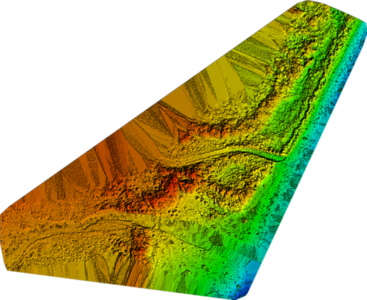 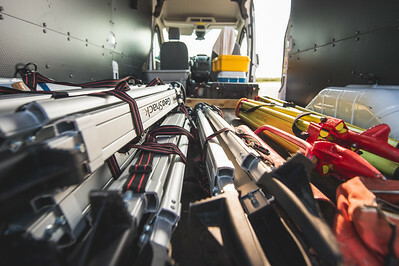 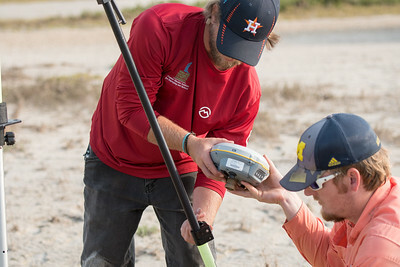 Brian Lorentson and Alistair Lord set up one of several instruments used during the survey of the Mustang Island area The Conrad Blucher Institute collects data following Hurricane Harvey's impact in the coastal bend. 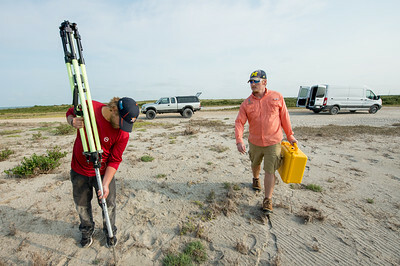 TAMU-CC research scientist Melanie Gingrass (left) and student researcher Yeoshua Cohen; set out to place markers during their survey of Mustang Island. 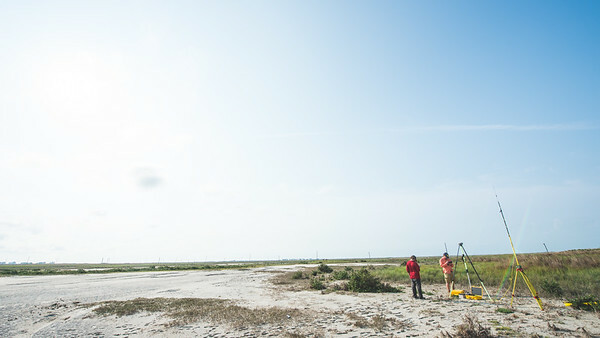 Alistair Lord (left) and Brian Lorentson install one of several instruments used during the survey of the Mustang Island area The Conrad Blucher Institute collects data following Hurricane Harvey's impact in the coastal bend. 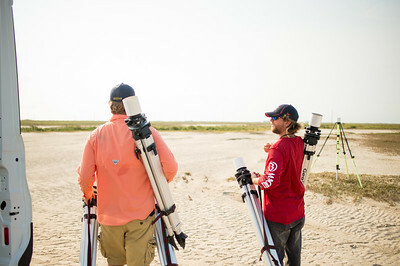 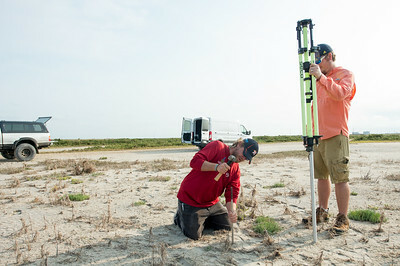 Yeoshua Cohen (left) and Melanie Gingrass set up markers during the Mustang Island survey following Hurricane Harvey's impact. 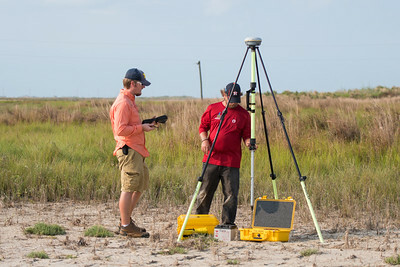 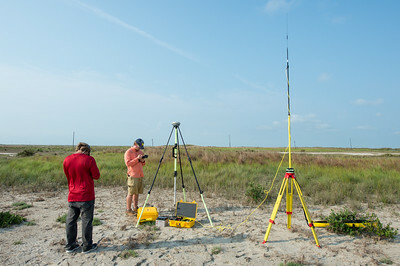 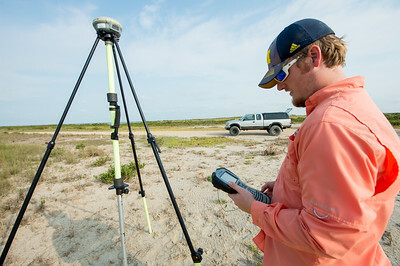 Brian Lorentson initializes GPS instruments during the CBI (Conrad Blucher Institute) survey of Mustang Island. 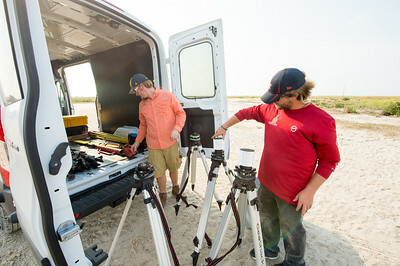 TAMU-CC Conrad Blucher Institute's equipment prior to being installed at Mustang Island. 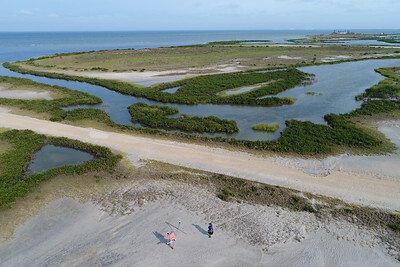 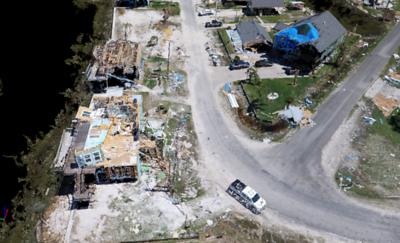 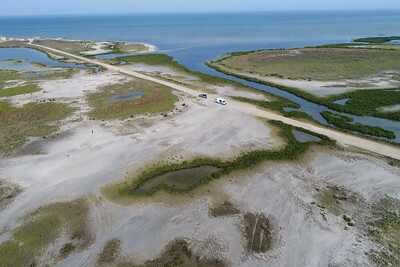 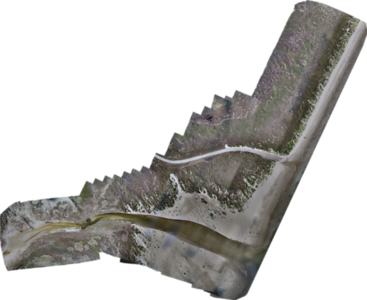 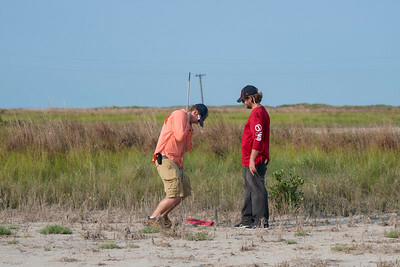 Yeoshua Cohen (left) and Jake Berryhill set up a UAV during the ( tag) Conrad Blucher Institutes survey of Mustang Island following Hurricane Harvey's impact on the Coastal Bend. 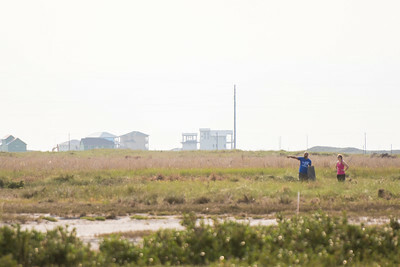 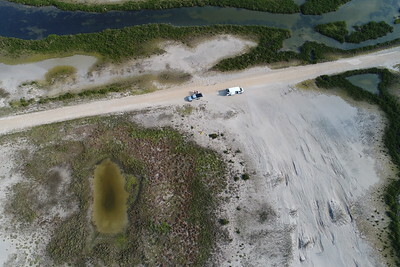 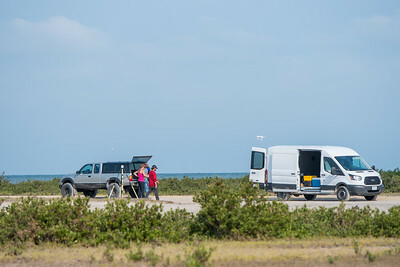 Melanie Gingrass (left) and Yeoshua Cohen initialize an Unmanned Air Vehicle as they prepare to take aerial photos of the marshes in Mustang Island. 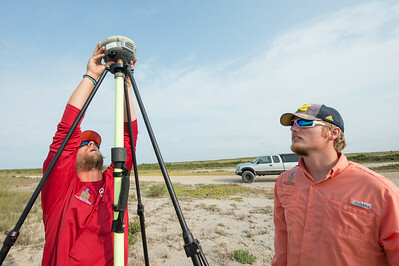 Melanie Gingrass (left), Yeoshua Cohen and Jake Berryhill with TAMU-CC's Conrad Blucher Institute; initialize a drone during their survey of Mustang Island following Hurricane Harvey's impact on the coastal bend. 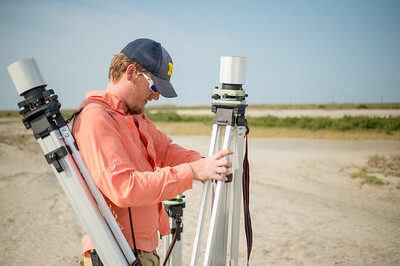 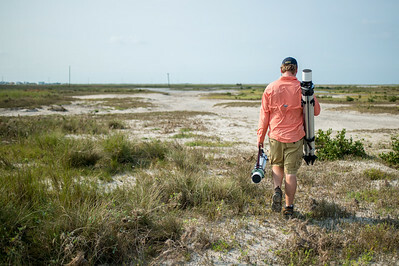 TAMU-CC's Conrad Blucher Institute, Brian Lorentson sets out to install one of several GPS instruments used to survey the Mustang Island area following Hurricane Harvey. 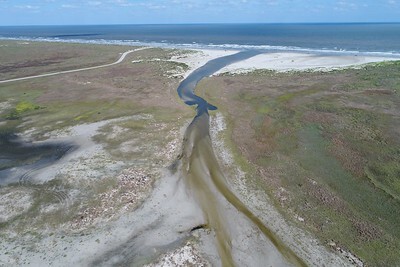 TAMU-CC's Conrad Blucher Institute's research teams set out to survey Mustang Island following Hurricane Harvey.